Insurgent is the second film in the Divergent series based on the young adult book trilogy by Veronica Roth. While director Robert Schwentke provides a serviceable sequel to last year's Divergent (2014), brooding teenage angst and a desire for acceptance replace the joy and excitement of the first film. Set in the ruins of Chicago, behind a massive wall encircling the city and its outlying areas, this futuristic dystopian story revolves around a remnant of humanity struggling to lead virtuous lives based on their dominant character traits. Although five factions were created to provide order and balance to society—Amity (peace and goodwill), Erudite (intellect and knowledge), Dauntless (bravery and fearlessness), Candour (honesty and openness) and Abnegation (temperance and selflessness)—they are in conflict as each faction believes it would be best to lead all the other factions. Divergent ended with Erudite co-opting the muscle of Dauntless to cast down the ruling government led by Abnegation. 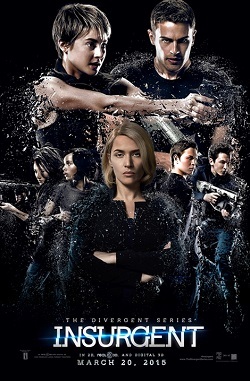 The power play of Erudite’s villain leader, Jeanine Mathews (Kate Winslet), was thwarted by the Dauntless initiate Tris (Shailene Woodley). Insurgent continues the story of young Tris as she navigates the aftermath of Jeanine's plan to take control. On the run, Tris and her romantic interest, a Dauntless instructor named Four (Theo James), work to take down Jeanine and her bid for absolute power. The first film revealed that Tris didn't possess a single dominant character trait but displayed qualities of all five factions which made her "divergent." Individuals branded "divergent" emerge in Insurgentto be the scapegoats for the disarray which followed Jeanine's botched attempt to consolidate power. 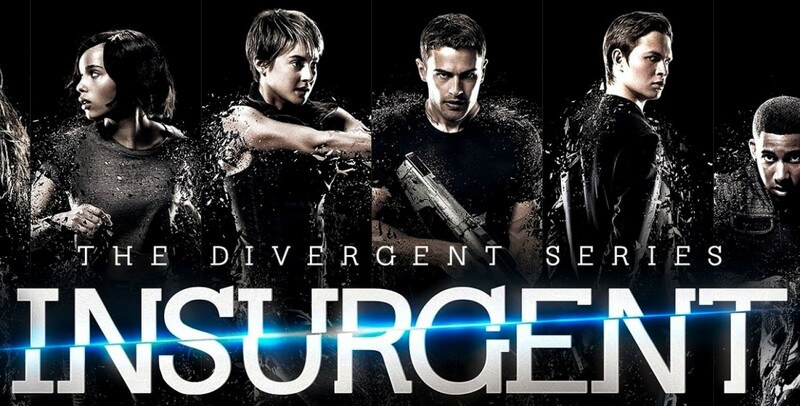 Ironically, these "divergent" members of society are also the key to opening a special device which contains a secret sought after by Jeanine—a significant game-changing secret. This is the stuff of melodrama and the film seems somewhat self-aware of this fact often spelling out the improbability of the unfolding plot. Veronica Roth, the writer of the source material for this series, is a Christian and, while the films aren't clubbing viewers over the head with Christian content, there are Christian themes throughout both Divergent and Insurgent. Where the first film Divergent had a very strong theme of rebirth and adoption using imagery of baptism, Insurgent has themes of forgiveness, confession and absolution using imagery often associated with Holy Communion. Divergenthad a couple of scenes with the obvious use of water and there are moments in Insurgentwhere grain/wine and/or bread/wine are prominent. One such scene shows a sack of grain and cask of wine from an Amity farming colony being shot through with Dauntless bullets causing the contents to pour out. The theme of forgiveness in relation to confession and absolution emerges more clearly when Tris and Four find themselves in the custody of the faction Candour. Tris and Four are administered a truth serum and asked questions about their alleged involvement with Dauntless in Jeanine's plot to wipe out Abnegation. The leader of Candour, Jake Kang (Daniel Dae Kim), poses probing questions to Four to determine his guilt or innocence. Just prior to Four's questioning Kang says to them, "the truth will set you free," a phrase Christians will recognize as a quote from Scripture. Four answers Kang's questions truthfully and afterward, with all his secrets laid bare, the community collectively thanks him for his candour and Kang "absolves" him. 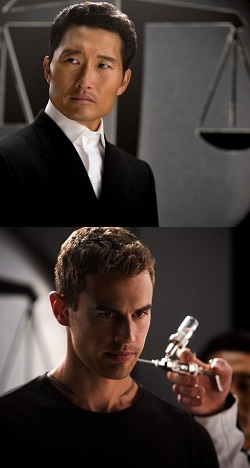 Four's absolution is important because following his absolution Tris is also asked a number of question which she answers—but only because of the truth serum. Her responses are given under obvious and painful duress calling into question her confession’s sincerity. Although the community collectively thanks Tris for her candour, Kang refrains from pronouncing an absolution. Why? Why wouldn't she receive the same absolution as Four? In theory she should but withholding absolution at that point in the story reveals a larger unfolding narrative of which Christian viewers will want to be aware. While the films contain recognizable Christian themes, Jesus is absent without explanation. His absence leaves the door open to self-forgiveness and herein lies the reason Kang doesn't absolve Tris; she must absolve herself. Self-forgiveness is the heart of Tris' personal narrative in Insurgent. In Divergent she went from being Beatrice to Tris and in Insurgent she must forgive herself for her past wrongs in order to truly embrace her "divergent" nature and be the hero the story needs. From a Christian perspective self-forgiveness is a problem because it breaks the First Commandment by putting the individual in the place of God. Within the film’s context self-forgiveness becomes an option because God is absent. For this reason there would be some question as to where a person could seek forgiveness—if not from God, then from whom? The only options are from each other and from one's self. Perhaps the question viewers need to ask is: “What is forgiveness?” In a way Insurgent falls into the trap of associating acceptance with forgiveness. Wrapped up in her teenage angst Tris needs to accept herself for who she is. This is a common teenage odyssey within the young adult genre and a recurrent theme in most young adult fiction. From Katniss Everdeen in The Hunger Games to Harry Potter in the Harry Potter films teens have to come to terms with themselves in order to become heroes. But is that forgiveness? Christians would say self-acceptance is not forgiveness because honest self-acceptance leads to a confession that we are “poor, miserable sinners” in need of forgiveness, a forgiveness we cannot give to ourselves. As might be expected Insurgent does have a number of moments of self-sacrifice. 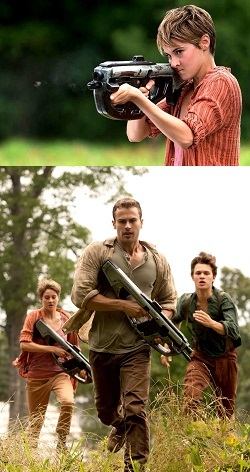 There's even a scene were Tris appears dead to the villain Jeanine and then reappears alive. 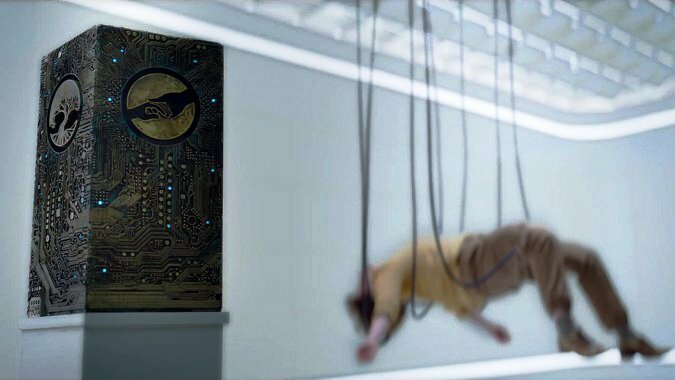 While on the surface this will look like an allusion to Jesus' crucifixion and resurrection, viewers will want to be careful not to draw a close parallel between the fictional Tris and the person Jesus. Tris is a confused teenager trying to find her way in life making as many bad decisions as good and she doesn't measure up to the Biblical Jesus. With a fair amount of action and a diverse cast including Oscar-winning and Oscar-nominated actors like Kate Winslet, Octavia Spencer, and Naomi Watts, Insurgentdelivers more thrills and star power than it needs to tell its story. Where Insurgentis at its weakest is in its convoluted melodrama and vaguely-Christian spirituality. What does the future have in store for the franchise? Allegiant: Part I (2016) will focus on Tris and Four as they venture out with others past ruined Chicago’s walls into the rest of Veronica Roth's future North American dystopia. Yes, that's Allegiant: Part I. Following the pattern of Harry Potter and The Hunger Gamesthe last book is split into two films. This means fans of the franchise have more Divergent to look forward to in 2016 and 2017. The bigger question is whether the series will hit its mark with these future films or fizzle out along the way. Lutheran Service Book, Concordia Publishing House 2006, Divine Service III Pg. 184.